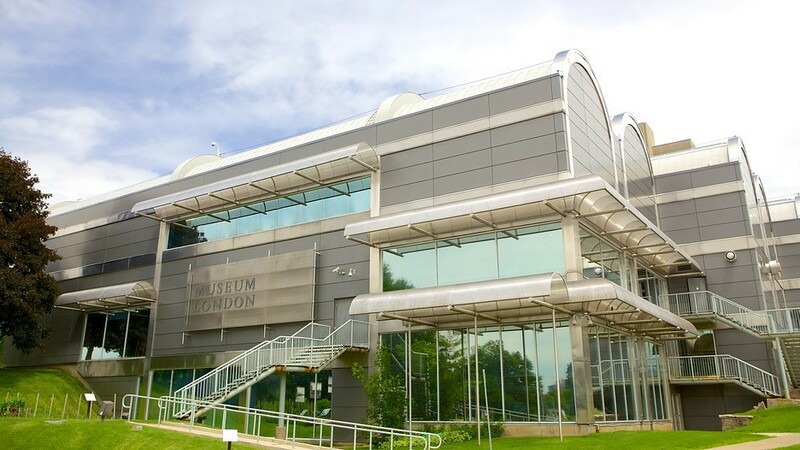 Museum London is located at 421 Ridout St. North, in downtown London, Ontario at the intersection of Dundas and Ridout Streets overlooking the Forks of the Thames River. Please note that while construction of the Dundas Flex Street is taking place (starting April 10, 2018), Dundas between Ridout and Talbot will be closed to vehicle traffic, but pedestrian walkways will still be open. More info available here. The Museum will be open regular hours during the construction. The Museum is a seven-minute walk from the Greyhound Bus Station and an eleven-minute walk from the VIA Rail Station. The Museum is located near major bus routes, including routes 2, 5, 7, 8, 9, 11, 12, 19, 20, 23, 1012. Click here for public transit directions. Our parking lot (Municipal Lot #19) is managed by the City of London and accessed from Dundas Street or Queens Avenue heading West. The fee for parking in our lot is $2.00 per hour or a flat rate of $6.00 after 6:00 pm. Parking vouchers must be purchased at the machine (credit card or coins, no bills) located in the parking lot, and the voucher must be displayed visibly on the dashboard of your vehicle. You can also use the HonkMobile app (zone 2186). Please do not park in the two reserved monthly parking spaces. If our parking lot is full, alternative parking can be found at meters and parking lots nearby. Bicycle racks are available outside the front doors of the Museum. Museum London is committed to accessibility for all visitors. There are two accessible parking spaces at the main entrance, a wheelchair accessible ground-level main entrance with push button doors, an elevator, accessible washrooms, and a complimentary transport chair. For more information, please call 519-661-0333.